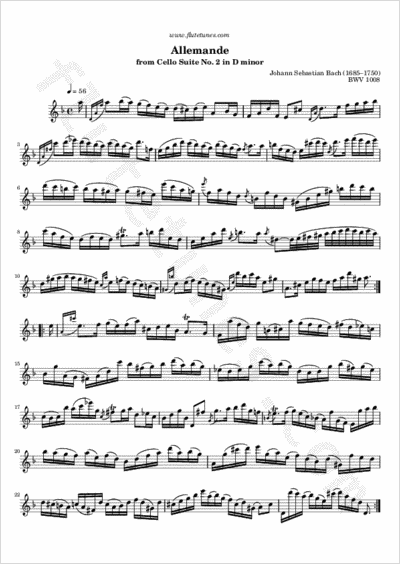 Here is the second movement of Johann Sebastian Bach's Cello Suite No. 2 in D minor. The allemande was originally a 16th-century duple-meter dance of moderate tempo, derived from dances supposed to be favored in Germany at the time (allemand is the French word for ‛German’). The Baroque composers of the 17th century experimented with the allemande, shifting to quadruple meter and ranging more widely in tempo.